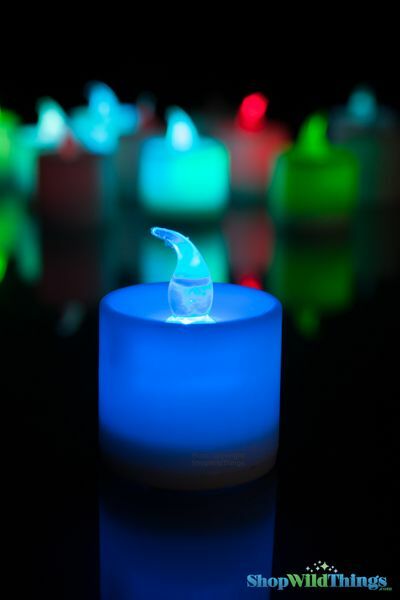 Using LED candles is so safe and easy! You will get a set of 12, flameless LED candle which fades from red to blue to green and alternates between a slow flash and a fast flash. Simply use the on/off toggle switch on the bottom and you have instant color! Each candle is 1.5" in diameter and 2" tall and takes 3 AG10 button cell batteries which are included. 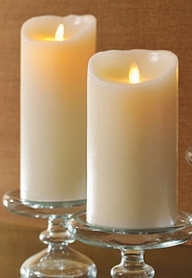 The body of this flameless candle is white plastic with a clear flexible tip.